For the first time in history, Grand Central Terminal will be a coveted place to be in the morning. 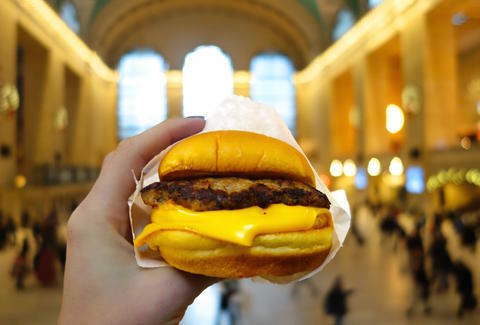 Shake Shack has announced that its GCT location will now be serving breakfast (previously only available at the JFK Airport), rendering all other breakfasts obsolete. 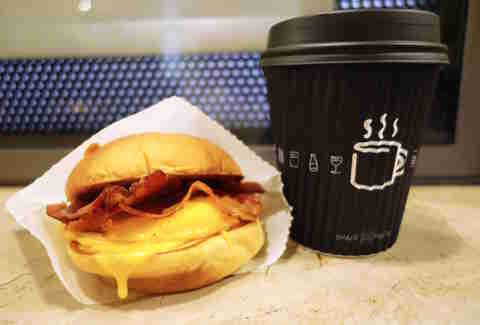 From 7-10:30am on weekdays, you can snag an Egg N’ Cheese; Bacon, Egg N’ Cheese; and Sausage, Egg N’ Cheese breakfast sammie made with Niman Ranch cage-free eggs and oh-so-melty American cheese and served on a toasted potato bun. 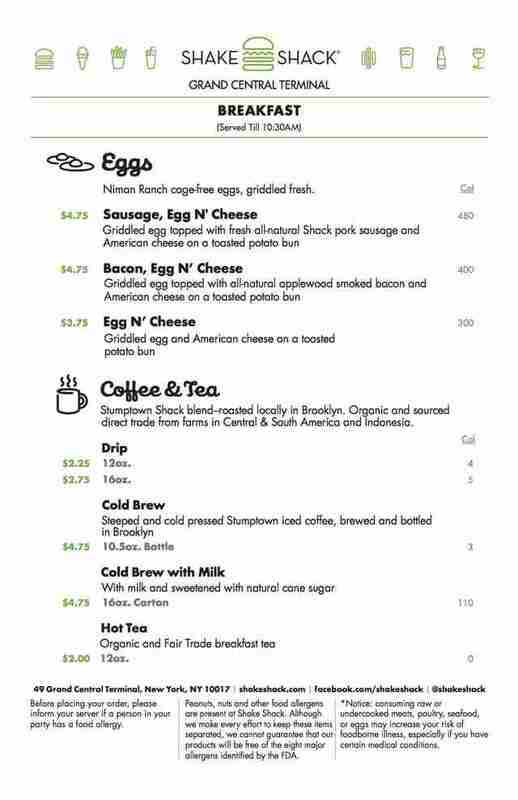 As with all of the Shack's tasty items, their breakfast options are simple. The sausage 'wich is topped off with all-natural, juicy Shack pork sausage and the bacon version features crispy applewood smoked bacon. You should probably order both because sausage and bacon. 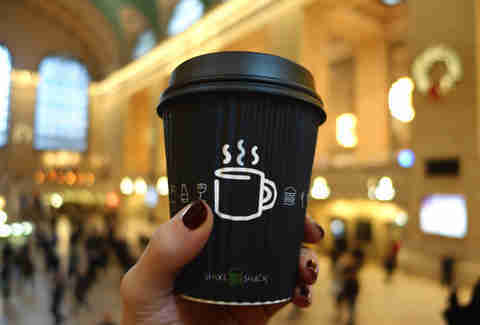 And because navigating GCT without caffeine in the morning is a death wish, they're also offering Stumptown Shack blend coffee and organic tea. If your morning commute doesn't go through Grand Central, this might be the first and only good reason anyone's ever had for moving to Connecticut. Pete Dombrosky is an Editorial Assistant at Thrillist and his morning commute takes him nowhere near Grand Central... until now. Start your day with him on Twitter.